The Teawife's Creations: Butterflies flying away! Here are some close up photos of the gilded and water-colored tags featured in the previous post. The butterflies were gilded using silver and gold leaf sheets, a Stampin' Up butterfly, and a jumbo Nuvo Adhesive Pen. Each of the tags feature a Sizzix Tim Holtz die and designer paper. This layer is laid over the top of a solid-colored tag. Frames are made with a scalloped punch. 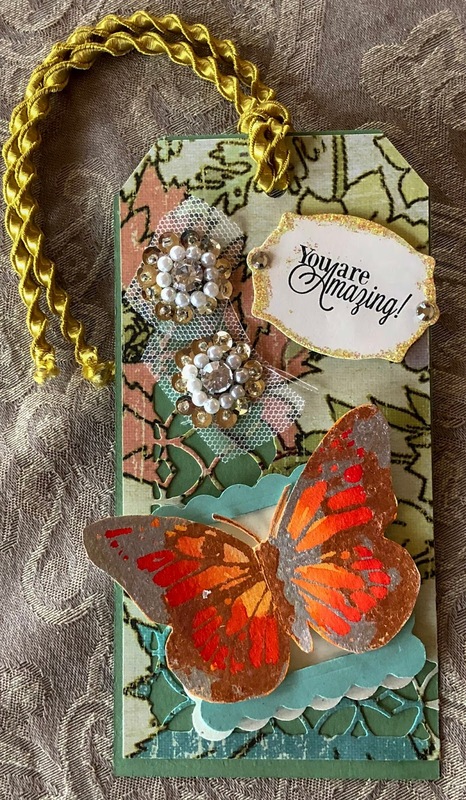 Various embellishments and ribbon finish off the tags. I especially love the sequined jewels above, which are from Spellbinder's "Gilded Life" Antique Gold Trim. Pretty in Pink with a Prima flower and rhinestones. 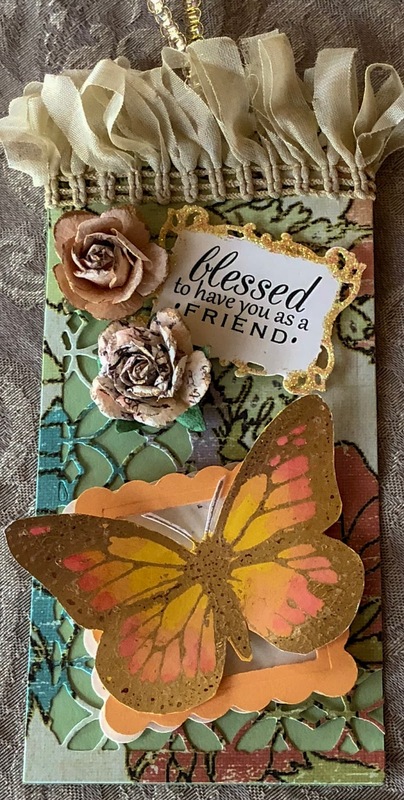 Coral bliss butterfly with Prima flowers and Spellbinder's "Gilded Life" Ribbon. Purple passion butterfly with Prima flowers.